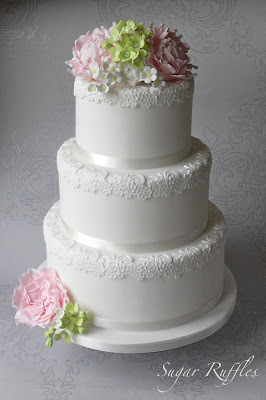 3 tier white wedding cake with floral lace detail on each tier with pink sugar peonies, pink David Austin sugar rose, green hydrangea, buds and white blossoms. 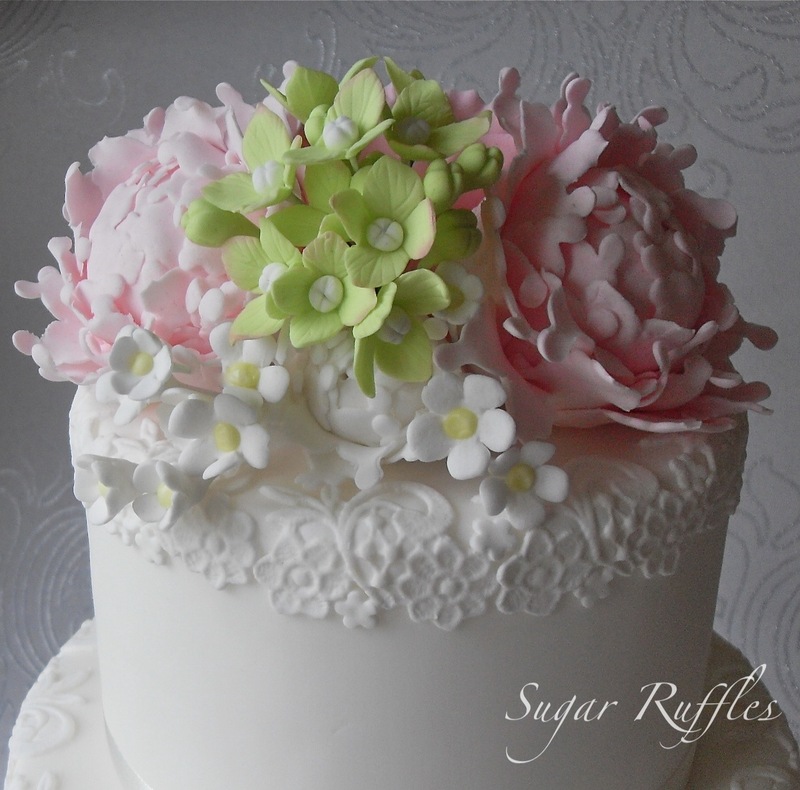 Pink David Austin sugar rose with green hydrangea and white sugar blossoms. Thanks! 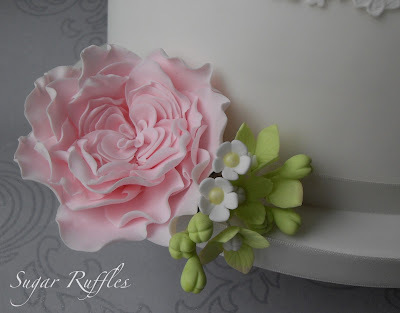 It is a combination of a lace mould and individual cut out flowers.